This page is a collection of the tools and products I use both to run this site as well as to manage my personal finances. Some of these links are affiliate links, meaning that I will receive a small commission at no charge to you if you purchase through my link. That being said, I only recommend products I personally know and love. All of the following tools are ones that I use myself. Imperfect Produce- Every year more than 20 billion pounds of perfectly ripe and nutritious produce goes straight into the trash before leaving the farm. Irregular shape, size, and surplus are the biggest reasons grocery stores won't accept them. Imperfect Produce is a for-benefit corporation that saves this produce and distributes it to families across the US at 30%-50% below grocery store prices. It's one of my favorite ways to save money on organic and conventional produce, while helping to reduce massive amounts of waste. Get $10 off your first Imperfect Produce box here. Personal Capital- Personal Capital is my favorite financial tracking software, and it's free. It syncs up all of your bank accounts, credit cards, investment accounts, and mortgage, allowing you to get a complete look at your net worth all in one place. Personal Capital will also analyze your 401(k) for unnecessary fees, offer you retirement planning advice, and help you track your investments. I love using PC, and I highly recommend it to anyone who is serious about keeping track of their finances. You can sign up for a free Personal Capital account here. Acorns- Acorns is an app that links to your bank account and rounds up each of your transactions to the nearest dollar. It then keeps all of your spare change and invests it for you, allowing it to grow year after year. One reason I love Acorns so much is because you can withdraw the money at any time. This makes it a perfect way to save your spare change automatically and use it as a vacation fund, car fund, or even your kids college fund. I generally save around $75 per month in my Acorns account, which I then transfer to savings or my investment accounts. It's an effortless way to save your spare change, and it only costs $1 per month. You can sign up for Acorns here. 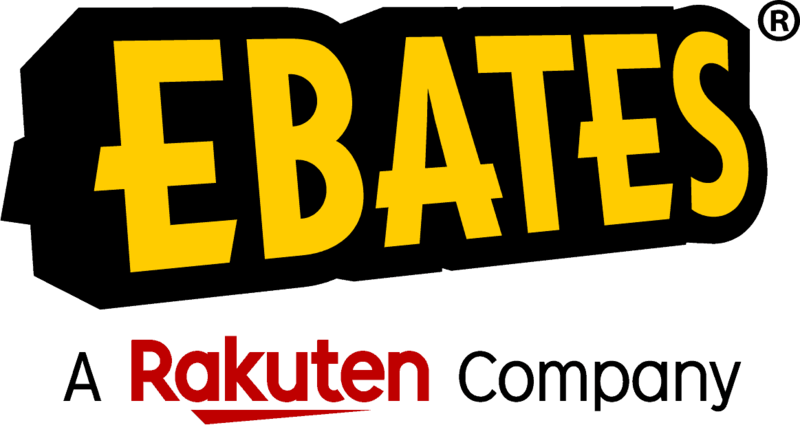 Ebates- Ebates is an amazing program that gives you cash back on just about anything you buy online. Ebates is 100% free to use, and they've partnered with more than 2,000 companies to offer shoppers like us between 1% and 25% cash back on purchases. It's that simple! It applies to everything in store and there is no catch or "gotcha". Plus, they truly do pay you in cash with either a paper check or Paypal deposit. I use Ebates every time I shop online. You can get $10 cash to spend when you sign up for a free Ebates account here. 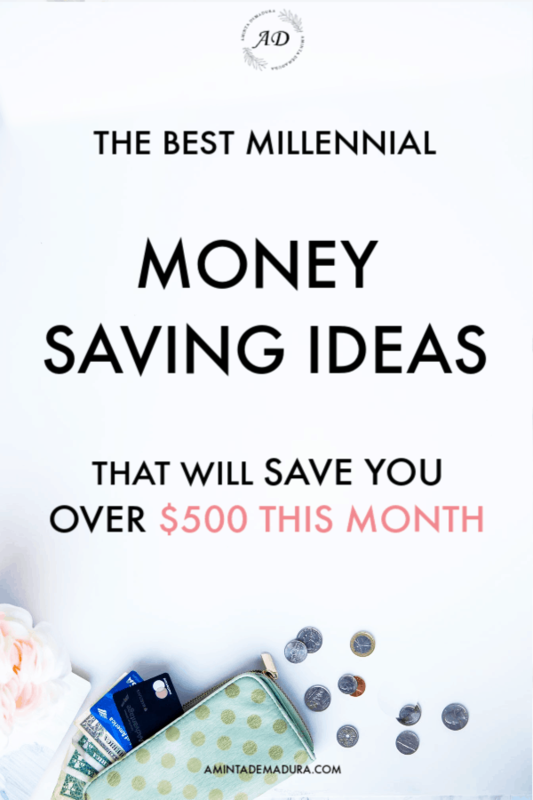 Honey- If you only sign up for one money saving app this year, make it Honey. 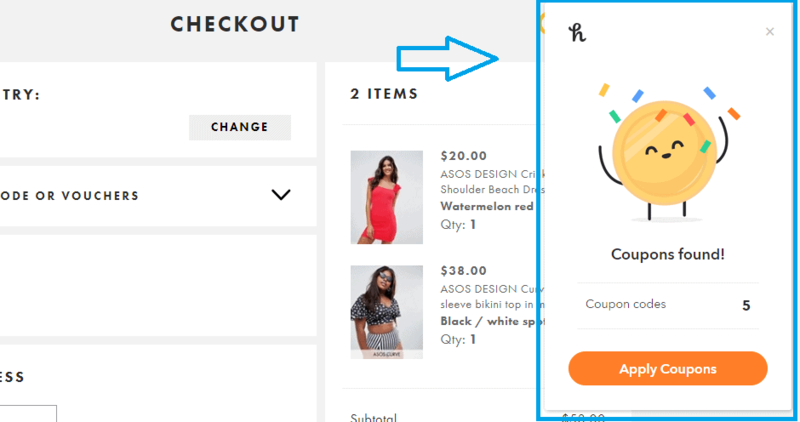 This free browser extension scours the internet and automatically applies any discounts and promo codes it can find at checkout, saving you tons of money! I routinely save between 10% and 30% on my purchases, which adds up big time over the course of a year. Best of all, Honey and Ebates can be used simultaneously to save even more. You can sign up for a free Honey account here. Digit- Digit is another secret weapon I use to put money aside for savings every month without even thinking about it. 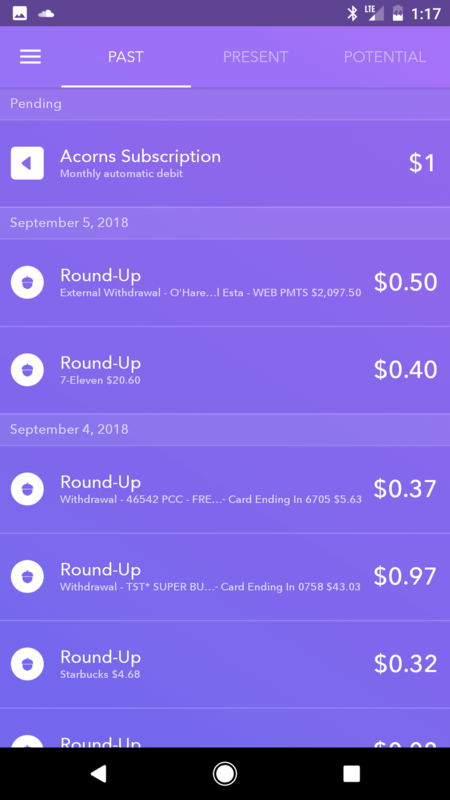 Digit is a low cost app (2.99/mo) that analyzes your spending and regular bills and then pulls small amounts of money throughout the month and puts it in your Digit account. You can withdraw the money at any time, or leave it in your Digit account to accumulate. Plus, it has overdraft protection features and you can put a cap on how much you want Digit to pull. I've found that paying myself first, on autopilot, is the key to making sure my savings actually get saved. You can get a free 30 day trial of Digit here. ThredUp- ThredUp is hands down one of my favorite ways to save tons of money on clothing. They are an online secondhand store that offer nearly new items at a fraction of their original cost. I often find designer items, new-with-tags pieces, fun accessories, kids clothes, and quality staples at bargain prices. This is the site that helped me dress myself for cheap throughout college and my early twenties. You can get $10 off your first order by signing up here. Venus- Venus is one of my favorite sites to shop for clothing and swimwear. I've found that their pieces are of very good quality and their prices are low, which makes it a great place to purchase a few clothing items when I'm running low. Another thing I like about Venus is that they have some really unique, fashion-forward pieces that aren't too "out there" for me to feel comfortable in. You can check out Venus clothing here. Credit Sesame- One of my credit cards was hacked this month in a big data breach by a restaurant, and I was able to catch it by checking my credit score through Credit Sesame. I've been using Credit Sesame for a few years now, and I've been impressed with how easy (and free!) it is to use. I can check my credit score at any time without it pulling a report, and it notifies me if anything weird is happening with my account. I highly recommend signing up for a free Credit Sesame account and checking your score every couple of months. Groupon- Groupon is an incredible way to save money on activities, restaurants, trips, and spa services. The vast majority of Groupon vouchers are priced at 50% off the normal price, leaving you with some huge savings. I frequently use Groupon to find kids activities, kayaking trips, eyebrow threading, pedicures, and more. You can sign up to see Groupon vouchers in your area here. Siteground- Siteground is the hosting company I use to host this blog. It integrates seamlessly with WordPress to give you an all-in-one website building and hosting package for only $3.95 per month. It is the easiest and most cost effective way I've found so far to set up a blog quickly. You can read my How to Start A Blog in 15 Minutes or Less tutorial here. Fizzle.co- Fizzle is my favorite all-in-one online business training platform, and it's the only one of it's kind. Run by three pro bloggers, Fizzle uses video courses and written content to take you from complete beginner to a profitable blogger. Plus, these guys are hilarious and I love listening to their podcast. You can get your first month of Fizzle free by signing up here. After that the cost is $39/mo, and you can cancel at any time. Thrive Web Builder- Thrive is the company I use to build my website. They offer beautiful themes, a super simple drag-and-drop builder for WordPress, email forms, countdown widgets, quiz builders, and more. If you aren't very tech savvy (that's me! ), Thrive is the easiest way to design a sleek and very functional website with all of the integrations you will need. If you're just starting out or are trying to hack together all the moving parts of the website you need, I highly recommend checking out the Thrive membership. It's only $19/month and you get access to every theme and product they have to offer. 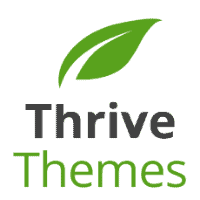 You can check out Thrive's themes and web building widgets here. Tailwind- It's no secret that the vast majority of my traffic comes from Pinterest. Hands down, Pinterest is the best way for bloggers to get traffic to their website quickly. To do that, I use the a Pinterest scheduler that schedules and sends out all of my pins at optimal times to reach the most people. Tailwind is the leading Pinterest scheduler out there. You get access to their insights which show you where your traffic is coming from and which pins are performing best. You also get access to Tailwind Tribes, which are group boards where contributors share each others pins. Tribes has helped me grow my traffic, and my business, quickly. 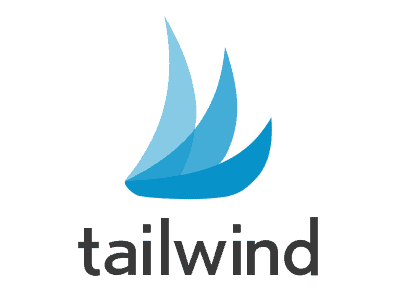 You can sign up for a Tailwind account here. Picmonkey- The easiest online photo editor I've ever used. Picmonkey offers thousands of templates, filters, fonts, and editing features. I use it everyday to create my Pinterest pins, Twitter photos, and other graphics. Plus, it's free! You can sign up for a free Picmonkey account here. Convertkit- Convertkit is the biggest and baddest email marketing provider out there. Made just for bloggers, it allows you to automatically send a series of emails to your sign ups, segment them into different categories, tag them with special tags you create, and more. I use Convertkit and really like the functionality. My only complaint is that their forms are super ugly, which is why I use the forms from my Thrive web builder and link them to my Convertkit account. Convertkit runs $29/mo for your first 1,000 subscribers. Aweber- Aweber is another email marketing provider I have used in the past and really liked. Compared to Convertkit, Aweber doesn't have quite as many features but it does have much more attractive forms. Aweber would be very well suited for all but the most advanced bloggers. Aweber is only $19 per month and you can get a 30 day free trial by signing up here. Mailerlite- Mailerlite is an excellent option for bloggers who are just getting started. While not quite as functional as Convertkit or Aweber, Mailerlite offers lots of features and is completely free for the first 1,000 subscribers. After that, Mailerlite is only $10 per month for up to 2,000 subscribers. You can sign up for Mailerlite here. Teachable- Teachable is designed to host online courses, and is the platform I use to host my Sassy Styled Stock photo package. They handle all of the backend work of creating and selling courses and membership like creating logins, collecting money, handling affiliate links, and more. I love using Teachable for my online products because it's just so darn easy. If you're planning to offer an online course or membership to your readers, Teachable is an easy all-in-one that you can set up in minutes. They offer a "free" account for newbies that takes $1 plus 10% of each sale, or standard plans starting at $39/mo. You can sign up for a Teachable account here. Six Figure Blogger- Educating and investing in myself has been a game changer for my business. I took Alex and Lauren's Six Figure Blogger course just a few months ago and found it to be an incredible resource on creating your own digital products. This course really covers the "big picture" of building a business through your blog, and teaches more advanced strategies for how to get there. I highly recommend it for anyone who has a blog but hasn't had much success making a real living from it. 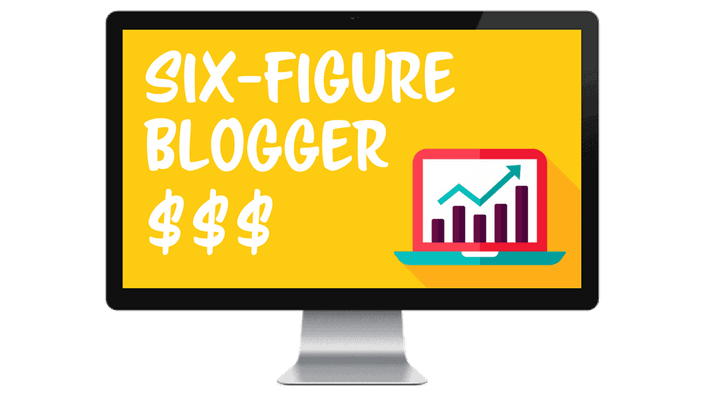 You can check out Six Figure Blogger here. Pinterest Traffic Avalanche- Pinterest Traffic Avalanche is another course created by Alex and Lauren of CreateandGo.com. They've really mastered the art of using Pinterest to drive traffic, and I was super excited to learn from them. This course goes in depth to show you step-by-step how they finagle their Pinterest accounts into traffic driving machines. Since taking PTA just a couple of weeks ago, my traffic has already doubled and I expect it to grow much more as time goes on. 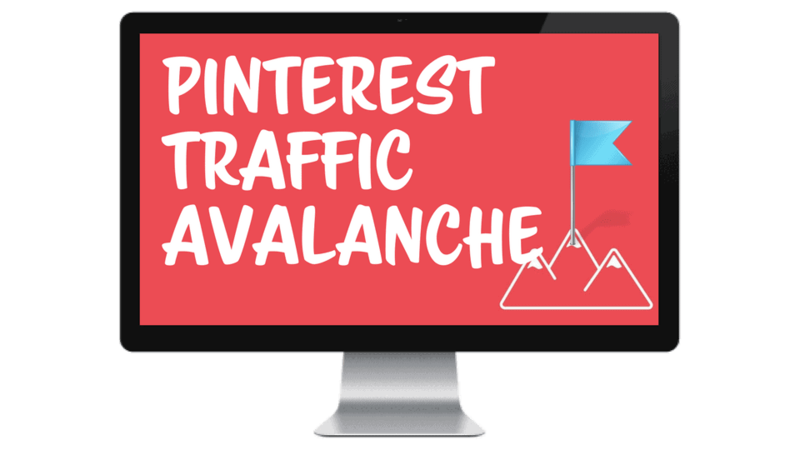 You can check out the Pinterest Traffic Avalanche course here. Making Sense of Affiliate Marketing- Making Sense of Affiliate Marketing is a course created by Michelle Shroeder-Gardner of Making Sense of Cents. She currently makes $50,000+ per MONTH through affiliate marketing, so I couldn't help but take her course. 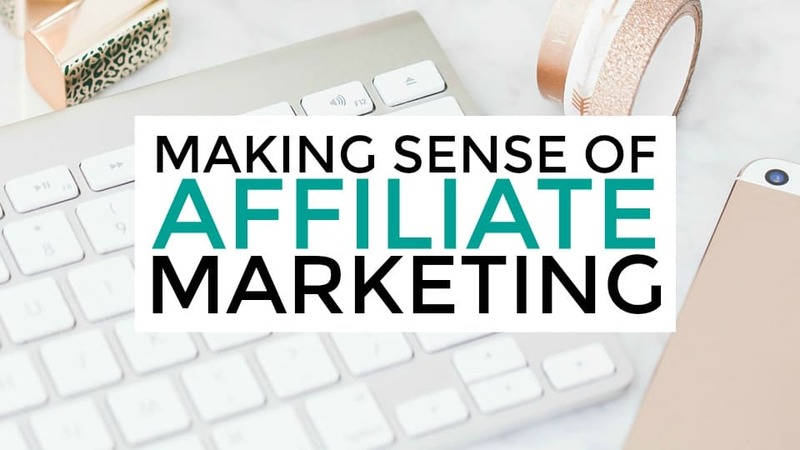 If you're ready to monetize your blog but don't want the hassle of creating your own products, affiliate marketing is a great option. You can check out Making Sense of Affiliate Marketing here. I absolutely love traveling, so I thought it might be useful to include a few of the ways I save money on our trips. Traveling really doesn't have to be expensive if you know the best deals on transportation and accommodation. Airbnb- Airbnb is hands down one of the best ways to save money on your travels. Not only is it cheaper to stay in one while you travel, but you can also rent out your place back home while you are away and cover the cost of your trip! Airbnb's come in a range of prices and are a fantastic way to get to know the city you are traveling to. I've had such good memories in so many of my Airbnb stays, and I hope you do too! You can get $40 off your first stay by signing up here. Uber- Taxi rides are outrageously expensive, and when you you are traveling you may not have your own car. Uber is a very cost effective option for getting to and from the airport, getting around the city, and seeing the sights. Plus, Uber can be a great side hustle for you to make extra cash from home too! You can sign up for the free Uber app here. Groupon- If you aren't using Groupon yet to save on your travels, you are seriously missing out! Groupon partners with local businesses in every city to offer huge discounts on activities, tours, restaurants, and more. Just to give you an idea, most services are priced at more than 50% off! I use Groupon both at home and while traveling to find fun activities like kayaking, skiing, sightseeing, and movies at deeply discounted prices. You can sign up for a free Groupon account here. How to Travel the World on $50 A Day- The first book that made me realize that long term cheap travel is totally doable, even if you have a family. I love this book! 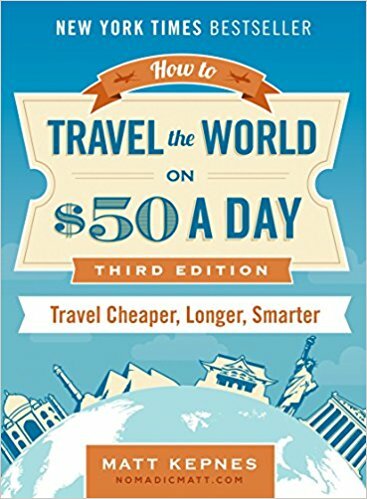 How to Travel the World on $50 A Day is based on Matt Kepnes' famous blog Nomadic Matt, this book covers everything you need to find free flights, get free or cheap accommodations, save money on food, and more while you are traveling. I can't recommend it highly enough. You can read the reviews here. These are a few of my all time favorite books on personal finance, travel, and self help. I hope you get as much out of them as I have. Enjoy! Simple Path to Wealth- If you only read one true personal finance book, make it this one. JL Collins is the author of the popular FIRE blog JLCollinsnh.com. His book is engaging, interesting, and a far cry from most dry personal finance books. 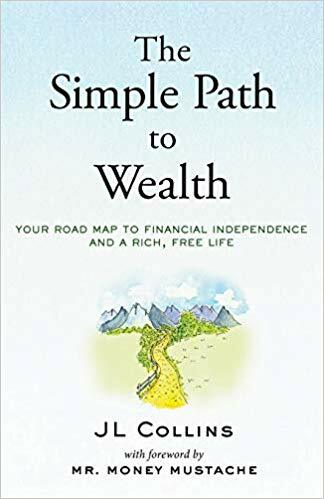 The Simple Path to Wealth explores in depth the framework he sent his daughter to help her manage her money from early on in life. His book is as much an investment book as it is a lifestyle one. I highly recommend it. 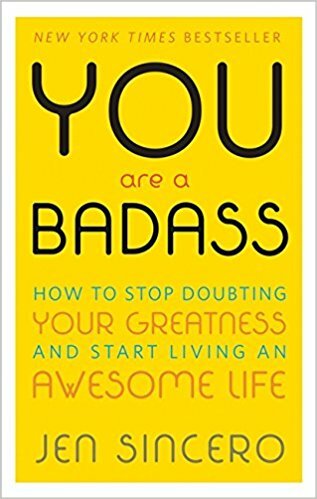 You Are A Badass- This book changed my life. Normally I'm not one for "mindset" books, but I picked this one up at an airport a couple of years ago and devoured the whole thing in one flight. Jen Sincero is hilarious, relatable, and so spot on when it comes to the way we women think and shape our lives. You won't regret reading this book. Check out You Are A Badass here. 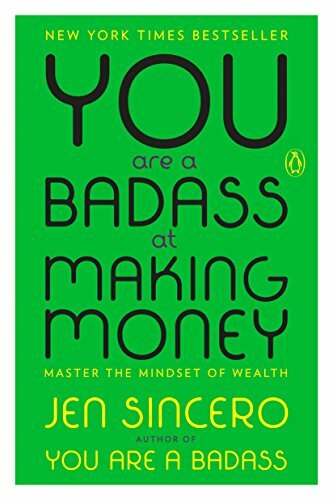 You Are A Badass At Making Money- Jen's second book is You Are A Badass At Making Money, a hilarious account of both her abysmal financial skills throughout her 20s and 30s, and a true account of how she turned it all around and became wealthy. She is able to pinpoint exactly how and why we sabotage our finances and lose out on opportunities to become wealthy. I've read a lot of personal finance books, and still have never found one as dead on and funny as this one. You can check out You Are A Badass at Making Money here. 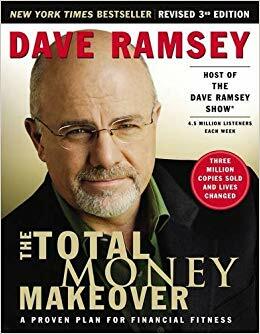 The Total Money Makeover- The Total Money Makeover is Dave Ramsey's signature book. It's one of the best books for those who are new to personal finance or in debt and looking for a way out. I read this book a few years ago after it came out and really enjoyed it. 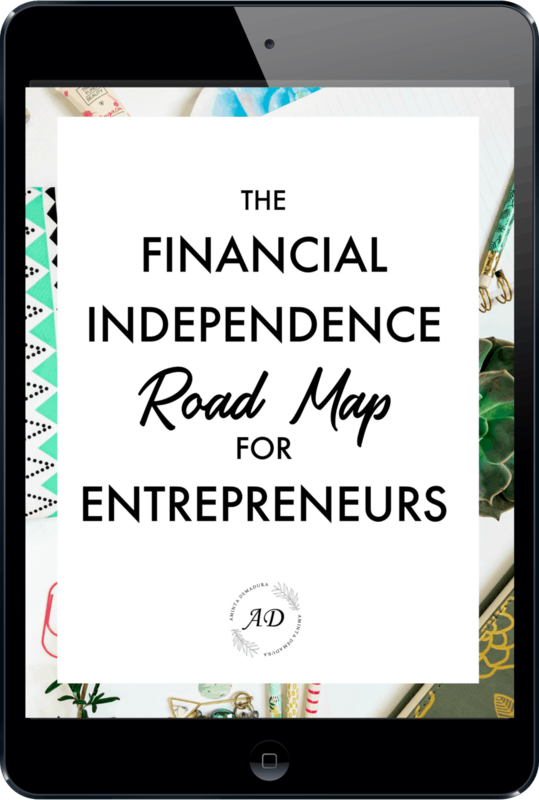 It's pretty comprehensive and straight forward, which is great for people who feel overwhelmed by all the finance jargon out there. Those who are past the debt and budgeting stage and moving towards FIRE won't get as much out of it. Check out The Total Money Makeover here. 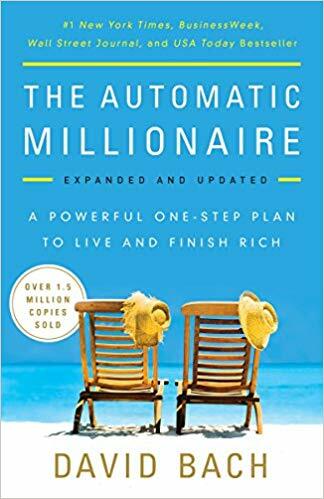 The Automatic Millionaire- The Automatic Millionaire is a short, easy read. David Bach's entire premise in this book is that people become millionaires because they automate their savings and investments. This one "pay yourself first" tip made the biggest difference for me, ultimately tripling my savings rate overnight. The author also delves into handling debt and beginning your investment strategy. I highly recommend this book for beginner and intermediate personal finance junkies. You can check out The Automatic Millionaire here.